Joe Short started Short’s Brewing Company in Bellaire, Michigan in 2004. Today Short’s Brewing is one of the fastest growing of Michigan breweries. Their young, savvy marketing program includes a podcast. Short’s Brewing contracts with Mike Moran, Quarter After Productions, to produce their weekly podcast. His team of 3 editors and 2 interns works on 9 podcasts. Music recorded from live performances at the pub. Interviews with musicians who perform at the pub. “We’re sharing the business story or a culture we’re creating,” explains Joe. A podcast provides an outlet to share your brewery’s story with a worldwide audience. Size and quantity of fermentation tanks: 4, 100-BBL fermenters; 1, 70-BBL fermenter. Size and quantity of bright tanks: 16, 90-BBL bright tanks and 7, 60-BBL bright tanks which are sometimes used as fermenters. Annual brewing capacity/last year’s production: 60,000 BBL/year capacity. Brewed 34,443 BBL last year (1.067 million US Gallons or the equivalent volume of 6.44 billion melted M&Ms). Square footage: 13,500 sq. ft.
Years in operation: 10 years at the brewpub (opened 2004). 6 years at the production brewery (opened 2009). Podcast Launch: A Step by Step Podcasting Guide (audio version) by John Lee Dumas. Tesla: Man Out of Time by Margaret Cheney. How to Start a Podcast – A Step-By-Step Podcasting Tutorial, Pat Flynn’s YouTube channel. The Story of Hallow Wean, by Joe Short, Short’s Cast, October 31, 2014. Quarter After Productions, Podcast and Music Production in Northern Michigan. MicroBrewr 022: Expanding to… India! Matt Greff fell in love with beer while at university in Germany. He and his wife, Rene Greff, opened Arbor Brewing Company Brewpub in Ann Arbor Michigan in 1995. Since then, they opened a microbrewery in nearby Ypsilanti, Michigan and, just a year and-a-half ago, opened a brewpub in Bangalore, India! UPDATE: They met the goal of their fundraising campaign. Woohoo! From Tanner Munro: Have you thought about pairing beer to food, as a compliment beverage to food? Building a Business the Buddhist Way by Geri Larkin. There’s GOT to be an easier way to run a business: How to have a successful company — and a life! by Bill Marvin. Earl & Tiffany on Vine. My continuing battle against perfectionism—part 1 of ? by Nathan Pierce, July 28, 2014. Arbor Brewing heads to India by Chris Staten, DRAFT Magazine, June 25, 2012. Arbor Brewing Company: India’s First American Craft Brewery by Craft Beer, February 27, 2013. 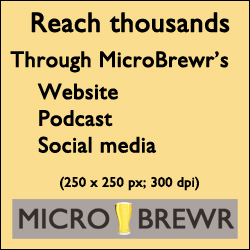 MicroBrewr 008: Raise Money for Your MicroBrewery Without Having to Give Away Any Ownership w/ CrowdBrewed, April 22, 2014. Six Session IPAs Ranked by John Verive, Paste, April 9, 2014.
https://microbrewr.com/wp-content/uploads/2015/06/MicroBrewr022.jpg 280 750 Nathan Pierce https://microbrewr.com/wp-content/uploads/2013/12/Logo3-Copy1.gif Nathan Pierce2014-08-12 05:00:052015-08-04 23:12:31MicroBrewr 022: Expanding to… India! In this episode I talk with Zachary Typinski from the upcoming, Neighborhood Brewing Co. Urbanrest Brewing Co. in Ferndale, Michigan. Zachary has years of experience throughout the beer industry. He has worked in merchandising and retail, distribution and sales. He’s also a draft certified technician, Certified Cicerone®, BJCP Novice Judge, and an award-winning homebrewer. Currently Zachary is the Michigan sales manager for Oskar Blues Brewery, and he is in the process of opening his own brewery. From Eric Simon: What beer do you want to brew, but aren’t going to because it’s too risky or won’t be popular enough? 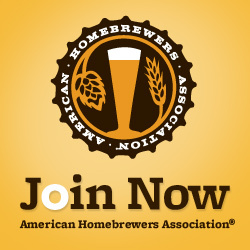 National Homebrew Competition put on by American Homebrewers Association. We’re Gonna Need a Bigger Boat by Kendall Jones in Washington Beer Blog, March 7, 2014. What San Francisco Giants Brewfest taught me about the future of lagers by Nathan Pierce’s blog, June 7, 2014. Patersbier: The Lawnmower Beer of Trappist Monks by American Homebrewers Association, June 15, 2014.